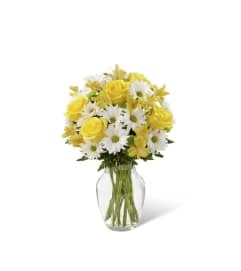 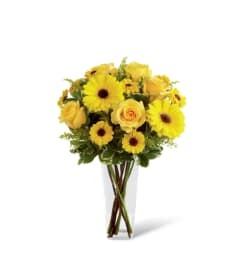 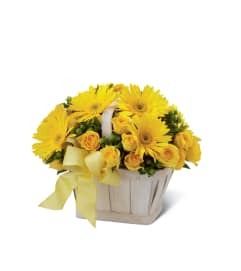 The FTD® Instant Happiness™ Bouquet is set to bring cheer and joy to your special recipient with each eye-catching bloom! White gerbera daisies pop against the rich reds of gerbera daisies and mini carnations. 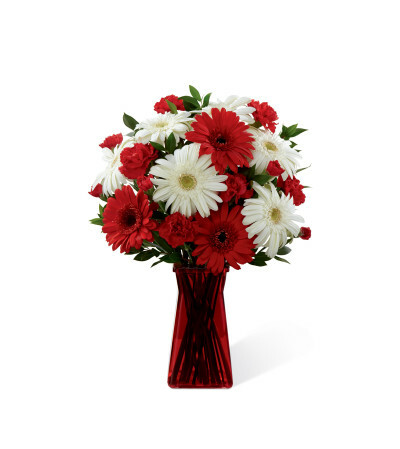 Accented with lush greens and seated in a ruby gathered square glass vase, this bouquet is an incredible way to add to the beauty of their day.